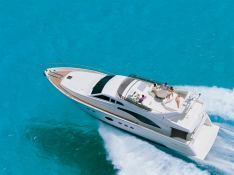 The Ferretti 680 is a state of the art, top of the range motor-yacht, designed following years of innovation: a boat with enormous power and manoeuvrability, with a targeted balance between technical features and design solutions. 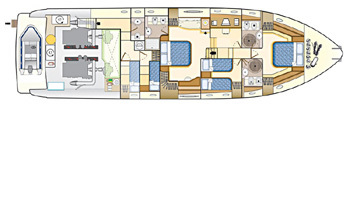 Everything onboard is conceived to make life luxurious and enjoyable; an ample circular divan, a wide solarium on the fly bridge, a spacious internal living room with a dining room and a well furnished kitchen. 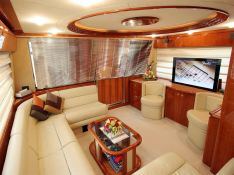 From when you first step onboard the teak decks, then enter the main saloon, you will soak up the ambiance provided by the plush leather couch and seating, the highly polished cherry wood interior and fully lined alcantara finish. 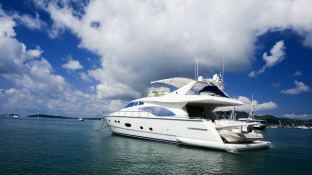 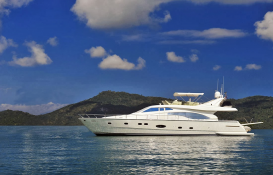 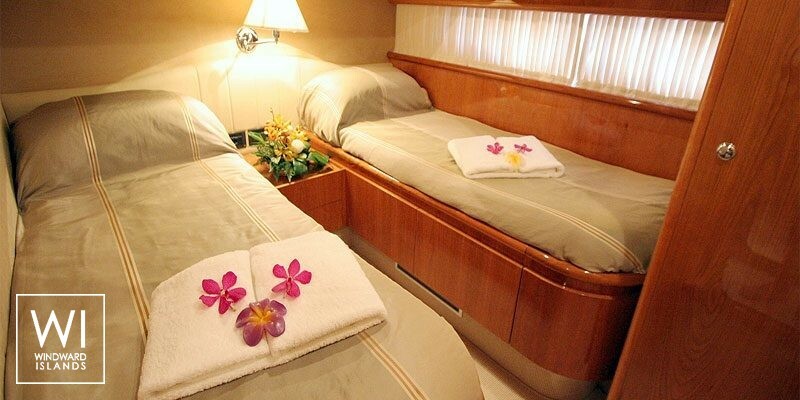 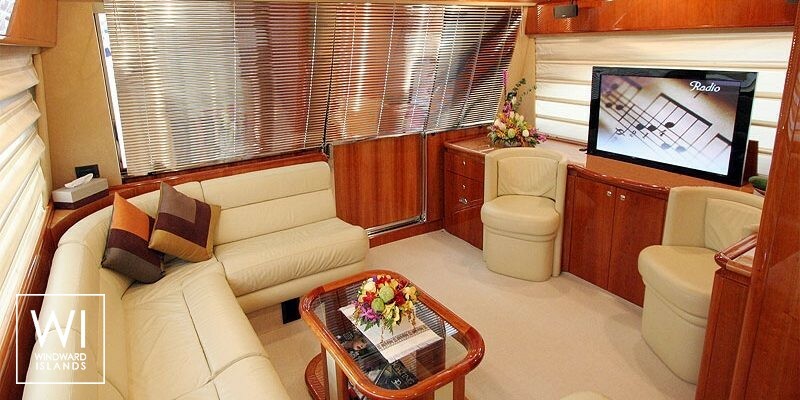 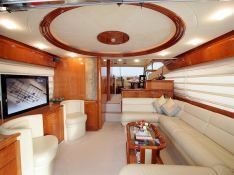 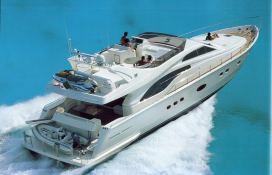 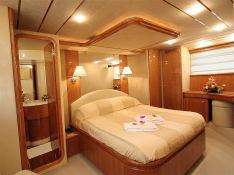 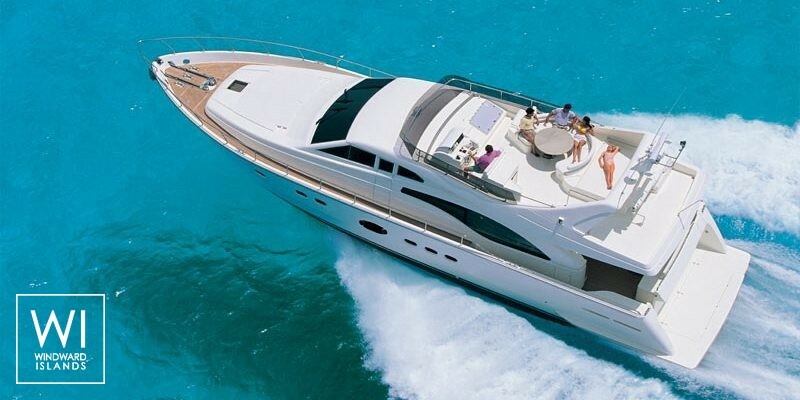 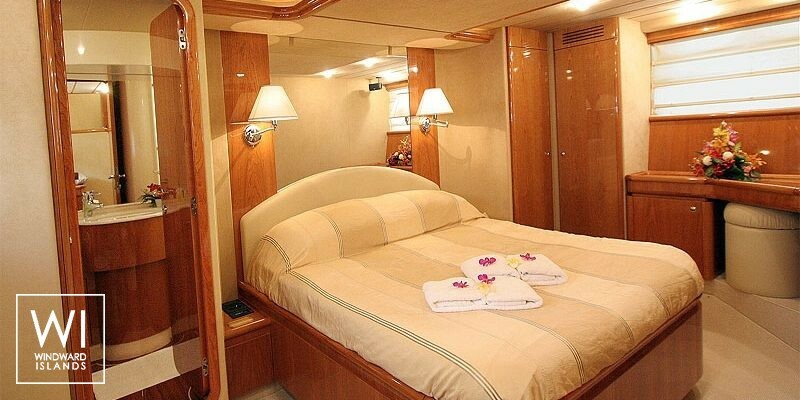 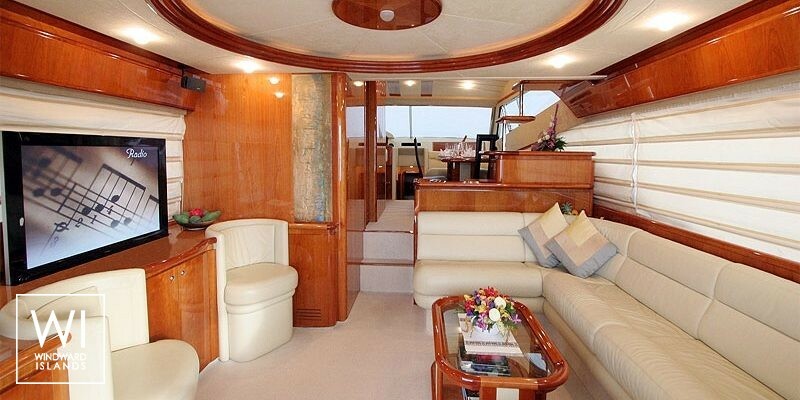 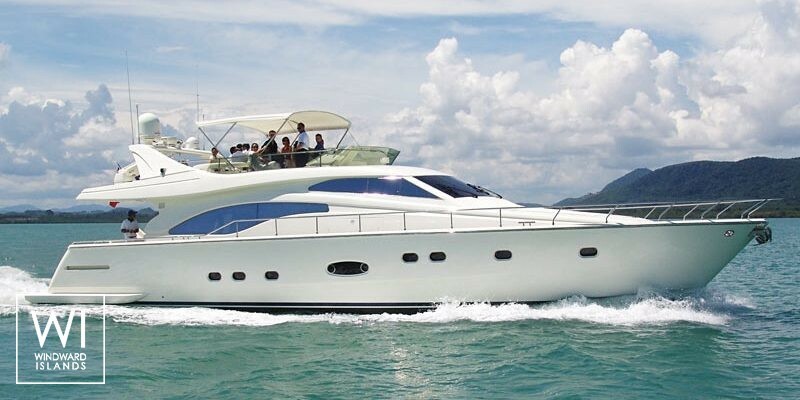 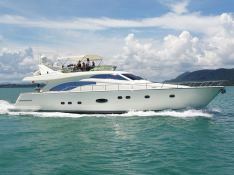 This motoryacht is available for yacht charter with a base price of 44 850 € (approximatly 50 580 $).